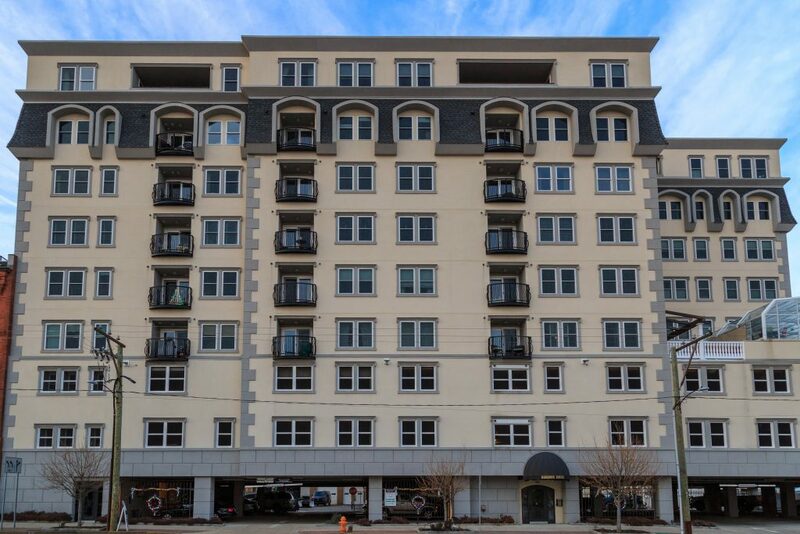 e2 brought its structural engineering expertise mid-project to this new construction, nine-story residential tower located in the heart of historic, downtown New London Connecticut. The structure consists of three floors of cast-in-place concrete, two-way slabs. Upper stories are structural steel framing with composite floor slabs. 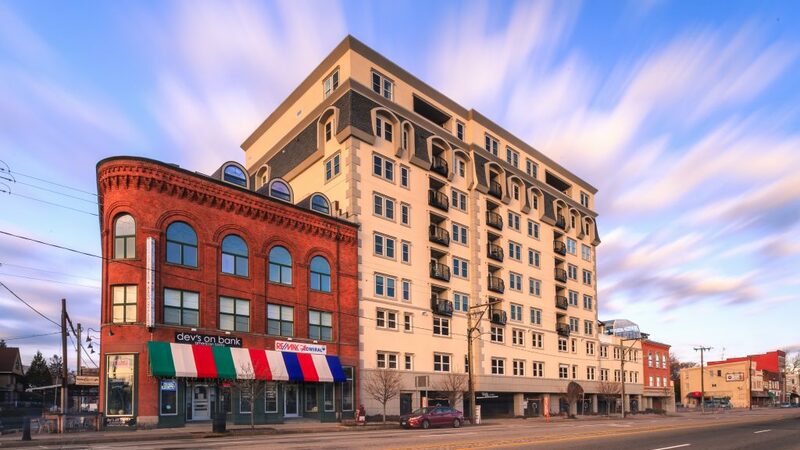 In 2007, e2 engineers was commissioned to design a new eight-story residential project located here in New London, CT. The project site is located in an area where poor soil conditions dictated that the structure be supported on end-bearing structural steel H-piles. 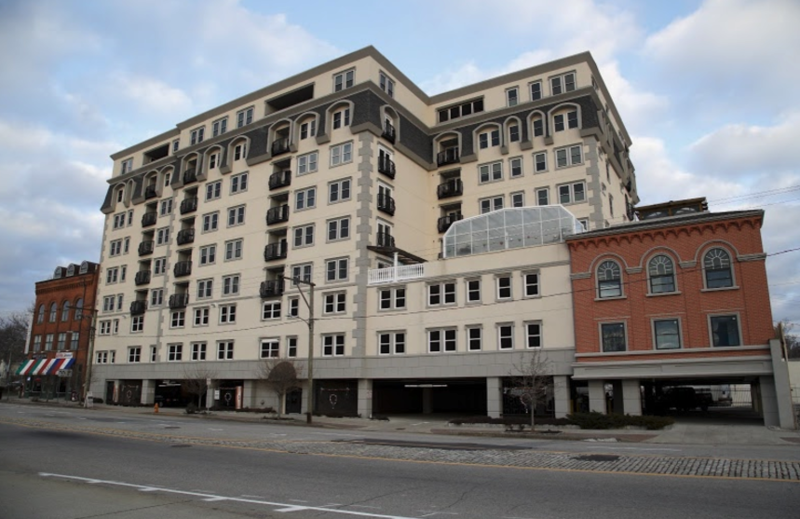 Construction began and soon thereafter the economy took a turn for the worse, resulting in the project stopping for several months after the third floor parking deck structure had been constructed. The project was resurrected with new ownership that had a specific demand in order for the project to resume; a ninth floor for penthouses was required to make the project solvent. e2 engineers was charged with performing an analysis on the previously constructed structural systems, including foundations, to determine if adding a ninth floor was feasible. e2 engineers was able to demonstrate that the existing structure could indeed proceed with the planned ninth floor and, as such, construction resumed on the project. Second, Third and Fourth Floor Construction – Two-way concrete flat slabs supported by concrete columns. Fifth thru Ninth Floors – Structural steel framing supporting composite floor decks. Roof – Structural steel framing.